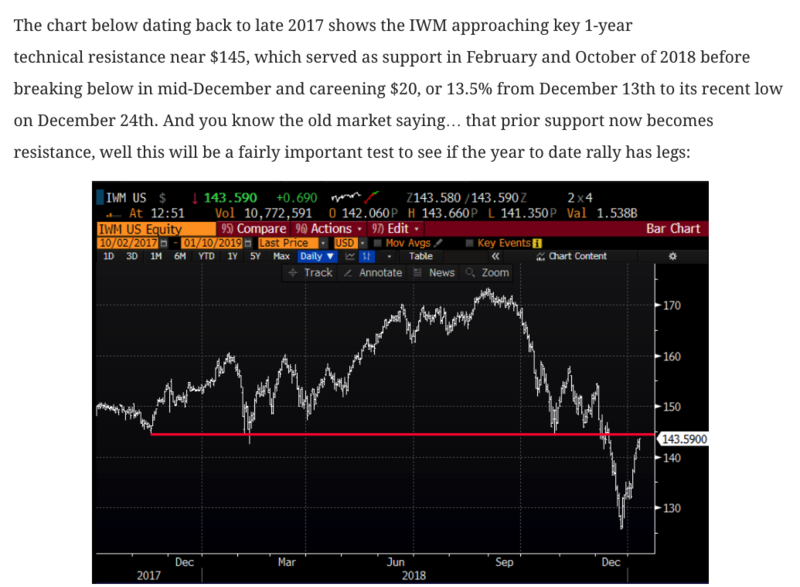 Well the IWM obviously did get back above that resistance level, now trading just below $148, up about 3.5% from the time of the post. The March 140 / 120 put spread that cost $3.30 when the stock was $142.80 on Jan 10th is now worth only about $1.40. Regular readers know that we like to use stops for long premium directional trades, usually around 50% of the original options premium paid. Once a trade like this drops below 50% of the original premium, the likelihood of it being back near break-even decreases every day and you are often left holding a lotto ticket. The longer the time to expiration the higher the probability of recouping losses, but usually depending on how much the stock has moved against you, you will always be fighting an uphill battle. In this case with the stock at $147.70, the break-even down at $136.70 is down $11 or about 7.5%. We would not make a bearish bet for 1% of the stock price that breaks-even down 11% from the get-go, so the questions one has to ask is whether or not it is appropriate to keep the trade on? 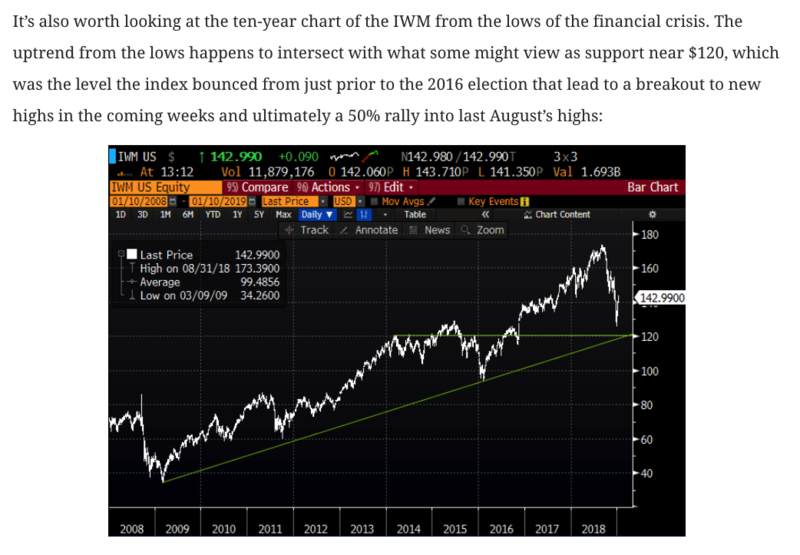 I think the answer is pretty clear, even if the IWM were to come in 11% in the next 6 weeks between now and March expiration, the trade might be back towards even. This trade no longer has an attractive risk-reward.